Little children love to be prepared for what is going to happen. It makes them feel more secure. Some sibling rivalry is inevitable. I’ve witnessed seeing siblings at war in my work as well as raising three kids of my own. It is even prevalent in the animal world! Baby black eagles turf out the weaker ones from the nest. In Melbourne Zoo, there was a toddler elephant who annoyed at all the attention his baby brother was receiving, deliberately tripped him up so that the baby fell down. The ultimate aim is to reduce sibling rivalry before it gets a foothold. In small children the right cerebral hemisphere develops before the left. This means the child is sensitive to emotions but may not be able to process them or verbally express them. Your child will view your growing girth, (the absence of a lap to cuddle in) with at best ambivalence. You have to convince them that sharing you won’t mean diluting you. Parents are often asked how the elder child is reacting when a new baby is brought home from hospital. (2) Practise holding a baby – gently, feeding the baby with their own baby doll. This isn’t something for girls only. Little boys will love to role play also. (3) Talk to the child / children about the benefits that come with age. Every age has its pleasures and its pains. (4) Read to them stories about babies. (5) Acknowledge that they will at times experience negative feelings. Our eldest child was five before circumstances allowed her sibling to appear. I remember cuddling her on the couch and saying, “It’s hard being the big sister when bubba is always crying but it won’t last forever, I promise.” Our second child was just a toddler when her little brother arrived. She would be doing something naughty – she was basically showing me the same thing that her sister was telling me. I set her limits but still hugged her and told her she was special to me. Remember it takes time and patience to fully grasp the meaning of adjusting to a new sibling. Relationships between siblings last longer than probably any other. Our relationship with our siblings occurs earlier than most friendships and all being well will outlive the relationship we have with our parents. It is in the nursery that we can learn to develop patience and compromise. They are helpful skills for all human relationships. What excellent common sense - sensitivity mixed with realism! The jealosy issue is a substantial one, as i discovered (to my surprise) when my beloved elder daugher realised that she had ‘competition’. What a telling analogy about ‘bringing home a new wife’! Thanks for the wake up call. Do we over analyse? Is this concern about sibling rivalry a ‘disease’ of the hyper anxious parent creating self absorbed children who are a product of a community in which only children are increasingly common and sharing is not demanded. Lighten up, Elizabeth - obviously you don’t have children! Loved this article! It is a childs right to have their feelings understood and respected by their family. Young children don’t have the cognitive capacity to predict and problem solve independently, they sense change, which can create feelings of uncertainity which is then often acted out in their behaviour. If we can help them understand that we don’t need to be afraid of these feelings we are building emotional intelligence, reducing worries/fears and generally our children’s emotional vocabularly is growing. All part of understanding our feelings, thoughts and behaviours (unfortunately something a lot of adults struggle with. Pregnancy can be an emotional time for any woman. 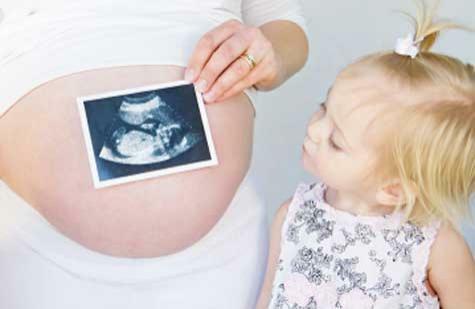 Your body will never amaze you more than during pregnancy. Water retention is common in pregnancy and often unavoidable.